Mission-based emerging artists Natalie Alemán and Jasmin Cañas team up to present a vibrant selection of paintings and photos featuring the people, places and flavors that define the Mission District’s unique cultura. 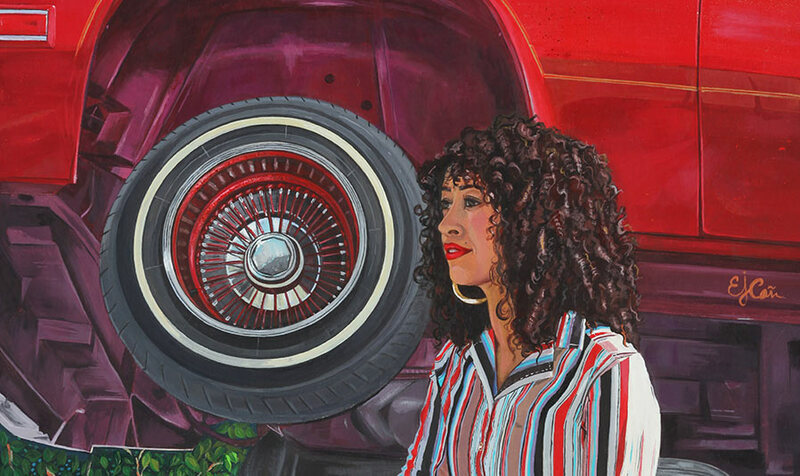 Ode to our Barrio comprises cultural landscape paintings, portraits, photo vignettes, and observations of people, their distinctive features and their surrounding environment. The exhibition focuses on each of the artists’ respective craft, with works that examine their Central American roots and include both past and present familiar neighborhood faces and architecture. In her portraits, virtuousa Jasmin Cañas paints all the nuances of a face-to-face encounter with a neighbor. With her photography, Natalie Alemán puts the viewer on the steps of a childhood stoop or in the passenger seat of a ‘57 Chevy. It’s a testament to the beautiful resiliency of the Mission and its people. Ode to Our Barrio will run through Oct. 30, 2018. Gallery hours are Tuesday – Friday, 11a.m. to 5 p.m. For more information about the opening reception please see the Facebook event page.